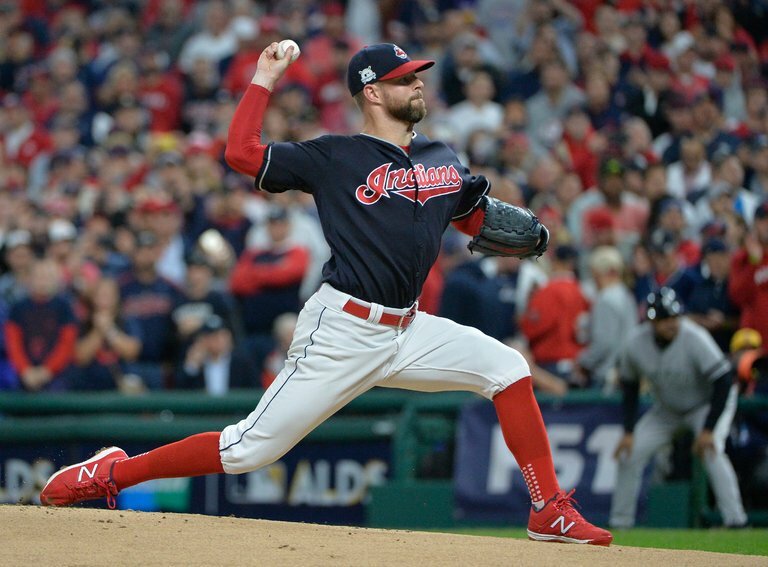 Cleveland Indians ace Corey Kluber received 28 0f 30 first-place votes to win his second American League Cy Young Award on Wednesday. Kluber started the season slow, but dominated AL hitters after returning from a DL stint on June 1. He had a 1.62 ERA in his final 23 starts of the regular season, after posting a 5.06 ERA in his first six starts. He ended up leading the league with a 2.25 ERA, 18 wins, an .818 winning percentage (18-4), five complete games, and three shutouts. He struck out 265 batters in 203.2 innings. The right-hander previously won the AL Cy Young Award in 2014. He is the 19th pitcher in MLB history to win more than one Cy Young Award, and is the only two-time winner in Indians history. He pitched in the Midwest League in 2008, going 4-3 with a 3.21 ERA and 72 strikeouts in 56 innings for the Fort Wayne Wizards (now the TinCaps). He was a San Diego Padres farmhand at that time. Washington Nationals RHP Max Scherzer won the National League Cy Young Award. It is his third Cy Young Award, having earned his previous two in 2016 (with the Nationals) and 2013 (with the Detroit Tigers). This entry was posted in Fort Wayne TinCaps, Midwest League. Bookmark the permalink.